Adv. Allon Diskin is a partner at Gideon Koren & Co., and specializes in real-estate law, real-estate transactions, planning, zoning and construction, civil litigation, non-profit organizations, trusts and arbitration. Within the real-estate area, Adv. Diskin specializes in representing complex real-estate projects – from land purchasing phases and throughout all phases of the transaction until completion, while providing solutions for complex legal questions in this field. In addition, Adv. Diskin holds a unique specialty in the legal aspects of the Israeli film-making industry. Adv. Diskin is a board member on the international YMCA of Jerusalem board of directors, and has formerly sat on the board of directors of ‘Real-Estate Participation in Israel Ltd.’ (founded by the Jewish Agency), and on the board of the Jewish Quarter Development Company. Adv. Diskin was also a member of the public committee for electing Outstanding Promoters of Tourism – a committee annually awarding two institutions operating in the tourism field on outstanding achievements, on behalf of the Israel Ministry of Tourism. Adv. Diskin served as legal counsel for the Jerusalem District of one ofIsrael’s Health Maintenance Organizations, for theSamSpiegelFilm & TelevisionSchoolinJerusalemand for the Jerusalem Artists House. Adv. 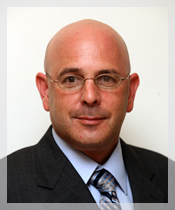 Diskin is a certified notary admitted to the Israel Bar Association in 1990, and holds an LL.B degree from the Hebrew University of Jerusalem. Adv. Diskin is fluent in Hebrew and English.